Your home curb appeal is the first impression to your personality! For our Lowe’s challenge this month we were asked to add curb appeal to our homes. 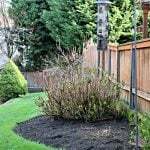 Here are a few other Creative Team Members and their curb appeal ideas. I shared my home yesterday, (coolest garage door ever!) 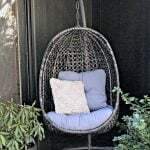 but I wanted to share curb appeal ideas from a few of my Lowe’s Creator team members. Stephanie from Somewhat Simple added the cutest Ceiling Medallion Wreath to her door. They’re not just for ceilings you know. Beckie with Infarrently Creative finally got her shutters painted and is now looking for advice from you for landscaping ideas. Char from Crap I’ve Made took her thrifted table and made it into a succulent garden. Great idea! Amy from The Idea Room ripped shrubs out, replanted, painted her door black and added that super super cute H.
Jen from TaterTots & Jello decided to make a fountain! If you look closely, I think the water makes a “Chevron” shape. And me! My front door! But what I’m most excited about is the carriage door hardware I added to my garage. Cindy from Skip To My Lou added lighting! Leave it to her to think about how her house looks at night! I love it! I also have the BIG basket Mod Podge Goodies giveaway on my facebook. 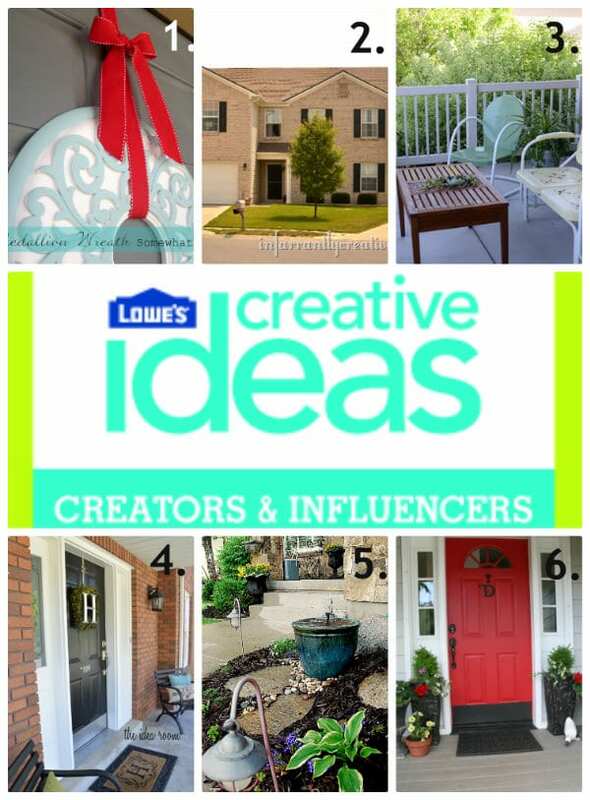 So many great ideas from the Lowe’s Creative Bloggers this month! Fun that you rounded up a little handful of them! Thanks for the shout out Kim- what a great way to promote everyone, I totally appreciate it! You’re the best!